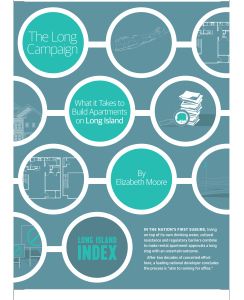 The case study highlights the unusual difficulty of navigating the approval process on Long Island, which makes it particularly hard for developers to take on the business risk inherent in building here. AvalonBay Communities has figured out how to make it work for them, but it’s one of the largest Real Estate Investment Trusts in the nation – with deep enough pockets to ride out long permitting processes as well as multiple business cycles. Smaller developers are much more challenged by these conditions, and the report studies many that had to sell out their holdings because they got caught in changing economic tides. And it is Long Islanders who ultimately pay the price. 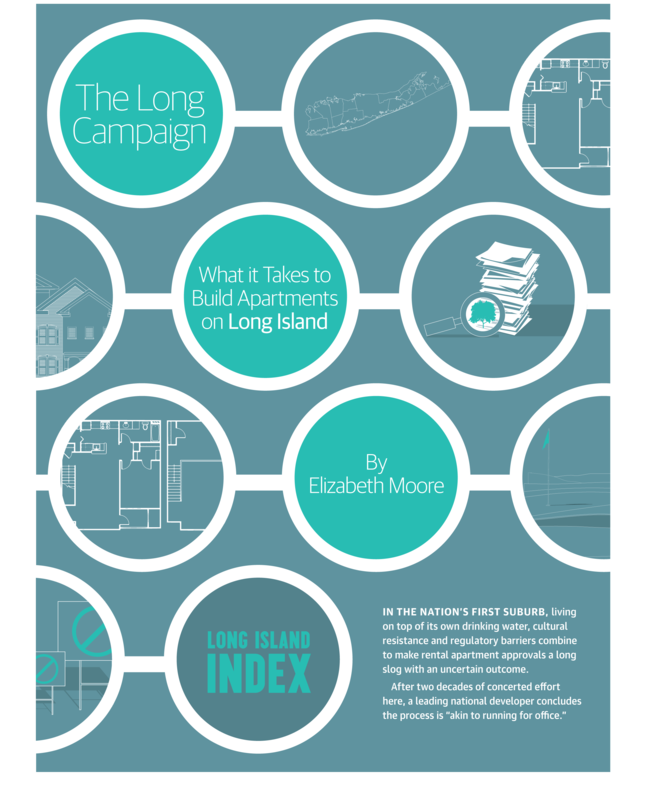 With a more difficult and lengthy permitting process, fewer apartments are built, rents rise, and many of those who want multifamily housing – especially young Long Islanders – are priced out of the market from the outset.